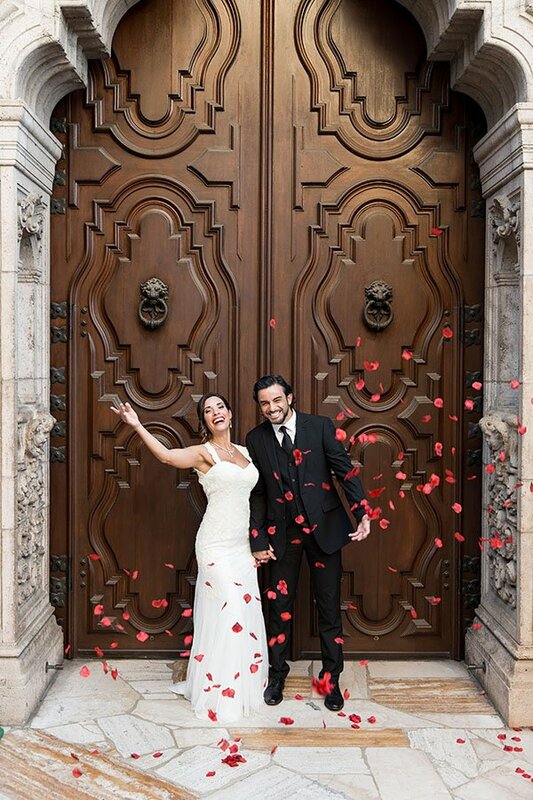 This entry was posted on January 30, 2019 by Don Roberto. With Valentines Day fast approaching, now is the time to plan for the perfect romantic gift. Not sure what to gift this year? Don’t worry. Don Roberto’s has a selection of amazing gifts for that special lady in your life. Some men can find it hard to find a gift that is thoughtful and timeless. Luckily, Don Roberto has you covered. Drop by in store today and take a look at some of our most popular ladies jewelry options that are perfect for Valentines Day. 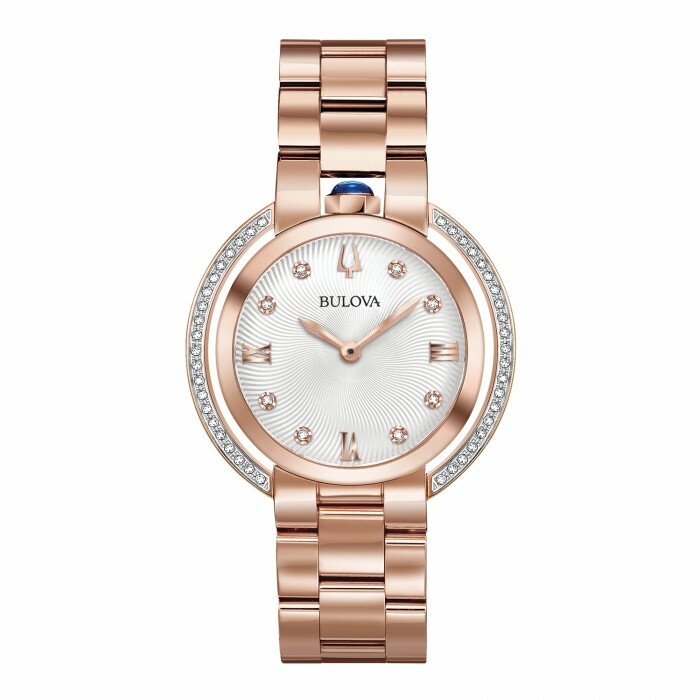 This women's Bulova watch is from the Bulova Rubaiyat collection. The legendary heritage reinvented in a rose gold-tone stainless steel case with synthetic blue spinel cabochon crown at 12 o'clock position. The dial features 50 diamonds individually hand-set on the case parenthesis and textured silver-white dial. 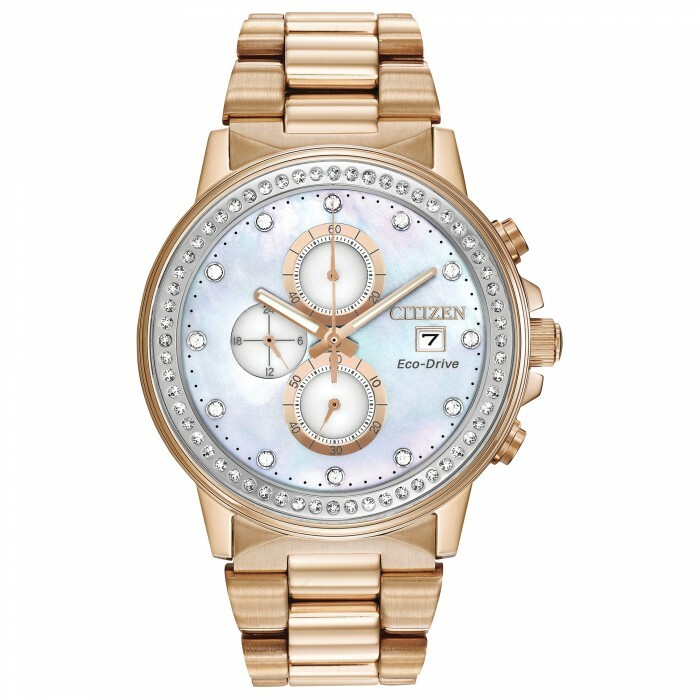 The dial is protected by double curved sapphire crystal while secured by a rose gold-tone stainless steel bracelet with double-press deployant closure. 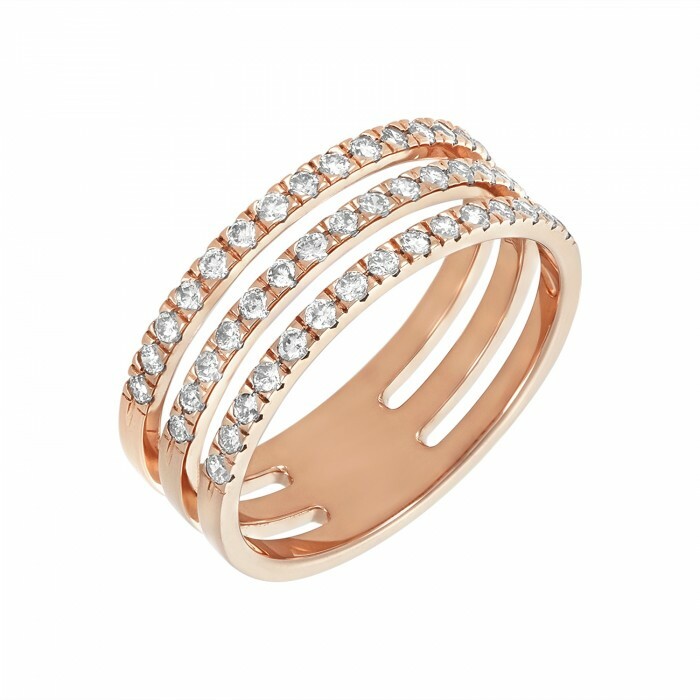 This beautiful diamond ring is cast in 14k rose gold and features the appearance of three stacked bands in one ring. The ring is set with 1/2 carat total weight in round cut, prong set diamonds. This ring is an everyday piece and makes a phenomenal gift. 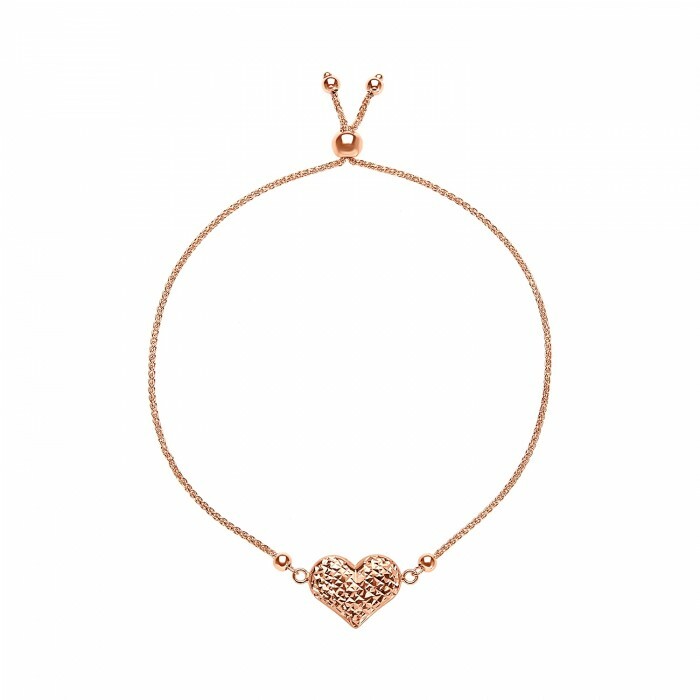 A gorgeous 14k rose gold bracelet features a simple wheat chain and adjustable ball. Centered on the bracelet is a puffy heart with a diamond cut detail, each side is clasped in place, keeping the puffy heart-centered. 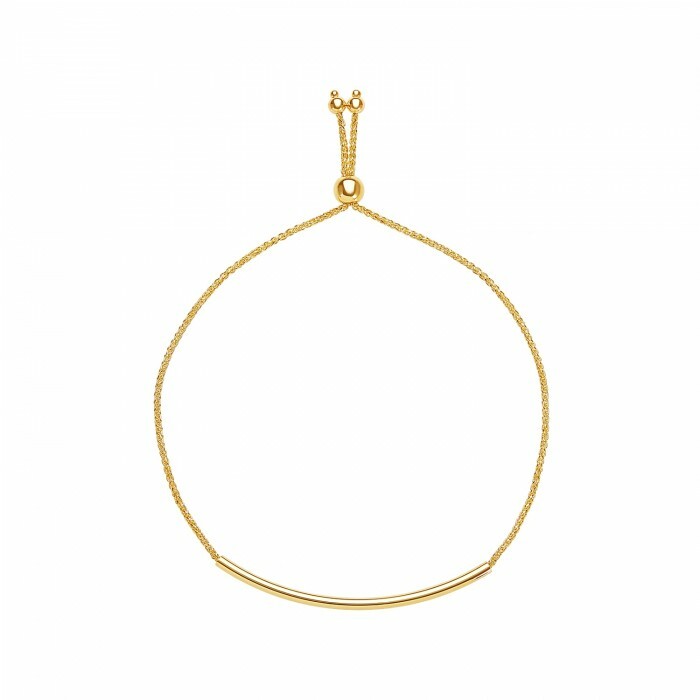 This stunning 14k yellow gold bracelet features a slightly curved and polished gold bar on a wheat chain. The chain is adjustable with a polished adjustment bead. This bracelet is simple yet sophisticated and made to last, it can be easily layered with our many other styles of adjustable bracelets. Elegant and trendy, this crown ring was made to make you feel like royalty. The ring features milgrain borders, while pavé diamond accents give this ring its elegant appearance. 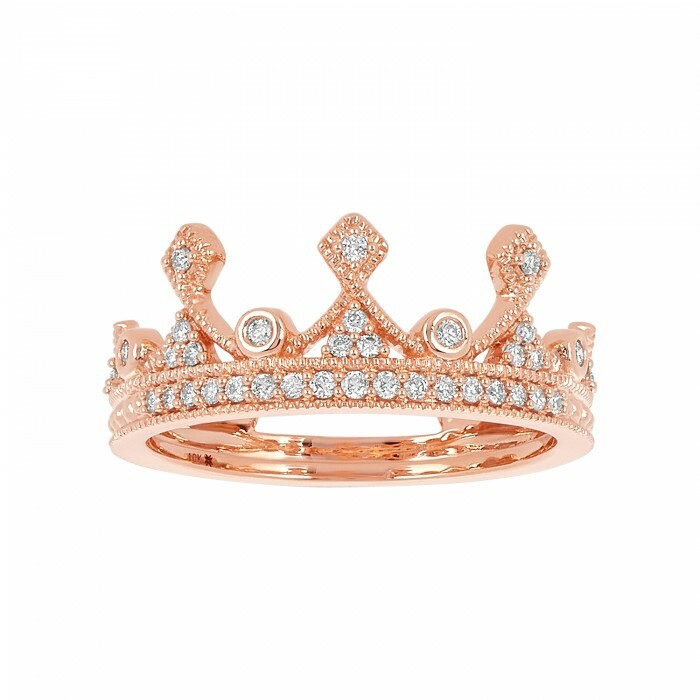 This crown ring features .20 total carat weight in diamonds and is cast in 10k rose gold. Don Roberto Jewelers have many more Valentine’s gift ideas available in store and online for that special lady or man in your life. Stop by one of our locations today to see how we can help you find the perfect valentines jewelry gift.